Should it stay, or should it go, a new regular column focusing on some of the Association’s breaking news, rising trends and shining developments. The prior edition can be found here. “He shoots like Steph and he’s big like Klay,” is no longer looking funny out in the light. Hield is torching teams. Torching them, Chris Evans before Captain America type heat. 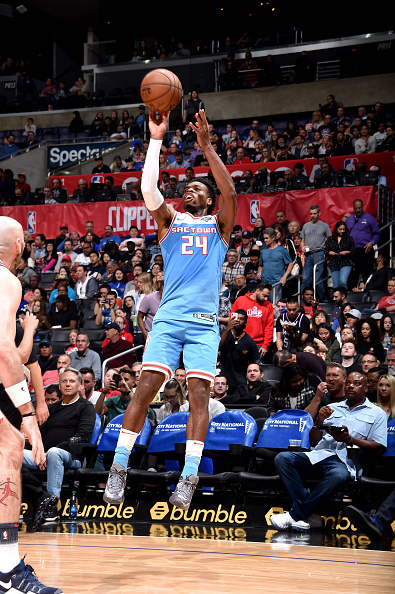 There have been 78 seasons where an NBA player took at least 7 three-point attempts per night, Hield’s 46 percent shooting from deep this season leads the entire field. A ridiculous note in and of itself, the only other player to average 45 percent or better on that sort of volume is Steph Curry (who has done it three times). Hield is averaging 20.5 PPG and whether he’s 25, 26 or 27 – it really doesn’t matter the former Sooner is hooping. After a slow start, Hield is now back on track with his explosive shooting predecessors, comparing favorably to Ray Allen, Bradley Beal and Reggie Miller with the same years of career experience. 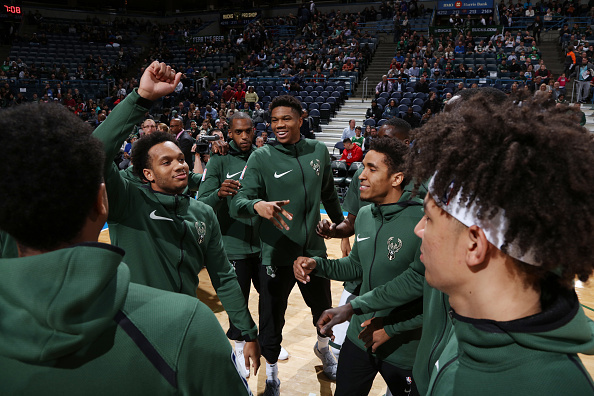 Since Christmas, the Milwaukee Bucks have the top net rating (+12.3) and a League-best record of 17-3. On the year, the Bucks have a League-best net rating of +9.8 and a League-best record of 39-13. The only teams with a net rating of +10 or better since 2000: The 2017 Golden State Warriors (champs), the 2016 San Antonio Spurs (67-wins), the 2016 Warriors (champs), the 2015 Warriors (champs) and the 2008 Celtics (champs). The Bucks are on the cusp of joining elite company. Head coach Mike Budenholzer has earned the right to lead Giannis Antetokounmpo’s team in the All-Star Game and his regular crew is poised to big things. 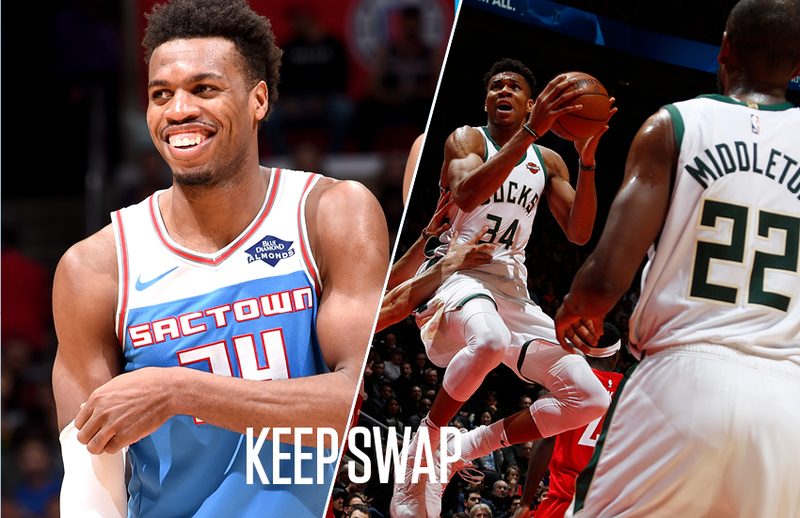 Similar to the Denver Nuggets, there is a fear that once the playoffs roll around the Bucks will become shockingly mortal. There reign of terror will end before it begins and in large part, because Antetokounmpo can’t shoot—they’ll get exposed over a seven-game series. However, only the Houston Rockets are taking more three-point attempts this season, 44.3 for the Rockets, 37.8 for the Bucks. Budenholzer built this team’s identity with the notion that the spacing had to come around Giannis, so I struggle to see how any team can gameplan or manipulate the field against the Bucks who have accounted for that reality all year. Antetokounmpo 26.9 PPG, shooting 57 percent from the field, this isn’t rookie Ben Simmons. 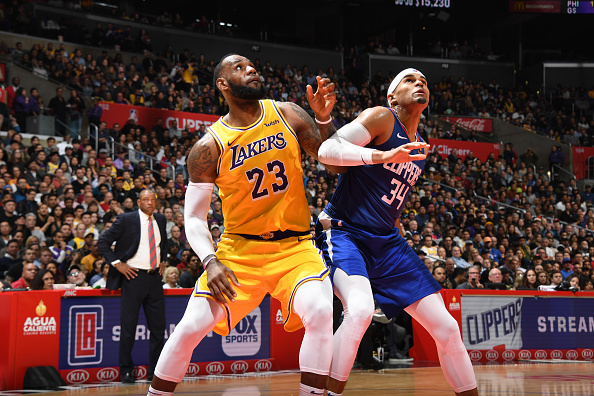 LeBron James came back, and the Lakers squeezed out an ugly win vs. the Clippers. Granted, it was a pivotal win that prevented giving up ground in what could be a valuable tiebreaker. James, who might’ve been rushed back prematurely, sat two days later against the Golden State Warriors due to load management. Unfortunately, that decision coincided with a night where the Clippers managed a sensational 25-point comeback vs. the Detroit Pistons. Three months from now, we could look back to either of those moments as the game that turned the tide for the better Los Angeles team. Not to be lost in the battle for LA, the Sacramento Kings continue to quietly hum along, long after most of the East coast has turned in for the evening. Marvin Bagley, who has been condemned to eternal social media berating for the heinous crime of not being Luka Doncic, is starting to look like a very good player. Hield, noted above is having a special year and De’Aaron Fox is the engine that brings it all together. Wouldn’t it be fitting if the once woeful and broken younger brother of the Pacific division wound up sneaking in over the Titans of LA? The Lakers, who could’ve had Paul George had they just traded for him initially, are learning from their mistakes. Not to be outdone, Mark Cuban is also on that corrective journey. Powerful quote from Mavs owner Mark Cuban that will be part of Tuesday's @nytimes NBA newsletter: "It was my mistake not to keep Dirk (Nowitzki) and Steve (Nash) together longer," Cuban tells @NYTSports. "I won't make the same mistake with Luka (@luka7doncic) and KP (@kporzee)." In the end, Steve Nash won two MVP awards, led the most entertaining team of the decade and was a Robert Horry hip bump away from a possible title. And Dirk Nowitzki, well, Nowitzki obviously got the MVP and the magic run of 2011 that forever cemented him as one of the 20-30 best to ever do it. It turned out OK, but there will always be the “What if Nash and Nowitzki had stayed together” scenarios. During the introductory press conference, Donnie Nelson noted that Kristaps Porzingis is not Nowitzki and Doncic is not Larry Bird, they are their own unique players who will leave their own marks on the Association. Fair enough, the point is the Mavericks haven’t had a duo with a ceiling anywhere close to this since 2004. If Porzingis is healthy and gets back to being the floor-spacing, rim-protecting unicorn that won the hearts and minds of the wild Knickstape and Doncic builds off what has become an all-time special rookie season, the Mavericks could catapult out of the basement.